Bonjour, hola, and hello! We hope you can join us for a tri-lingual storytime event in our wonderful school library. 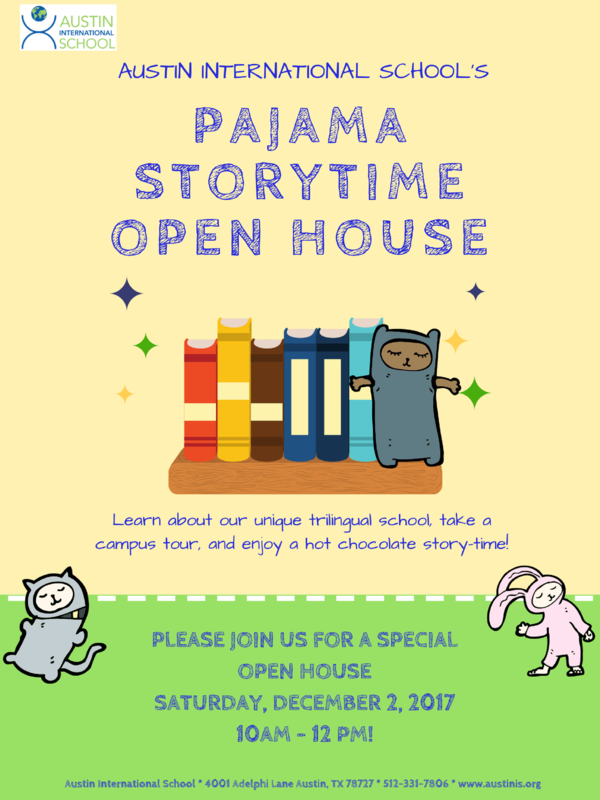 Kids can come in their pajamas (optional), listen to a few stories in French, Spanish, and English, and enjoy some tasty hot chocolate. They can explore the library while parents learn more about AIS. We will have time for tours and visits with our Head of School, current parents, and staff.